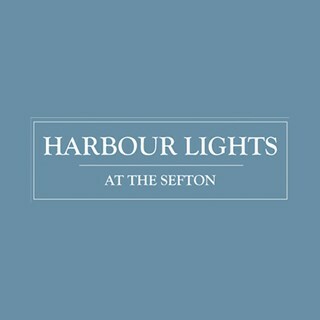 Harbour Lights at The Sefton brings the familiar luxury of The Sefton Hotel to a relaxed yet sophisticated all-day dining restaurant in the heart of Douglas. Open seven days a week and comprised of a main restaurant, overlooking the promenade, and 2 private dining areas, we provide the perfect setting for any occasion. Sample our extensive range of quality food and delicious cocktails at your leisure from breakfast until late, whether you are a local resident, work close by or are simply visiting one of the Isle of Man's best-loved areas. I was pleased to bring two visiting relatives to harbour lights who haven't visited the island before. We had a lovely meal,good quality food, friendly staff who did a good job. we all admired the decor and art work. Lovely restaurant! Great service and the food was amazing. I had roast lamb and then the lemon meringue and both were melt in the mouth. Staff were great. Restaurant is well laid out and has a nice feel to it. We were kept waiting to ge served we arrived at 12 noon our order was taken at 12.20 we got our first drink at 12.30, one more person serving would have made all the difference. We were going to the theatre so we’re timebound but equally you advise a 1.5 hour timeline which you didn’t hit. That aside we had a lovely time and my friends who hadn’t previously been said they would return again. Just had a quick one course before the theatre (although the pre-theatre menu was tempting!). Good value, lovely food, lots of choice. Service was friendly and quick and the place had been done up nicely. Will be back to sample more and maybe check out the wine list too! We had the pre-theatre menu and every course was delicious. Staff were lovely. Will certainly visit again. Booked a table for 15.30 on Saturday, we were seated and forgotten about for 15-20 mins without any contact, no drinks order taken etc. Once we were spotted that no one had dealt with us, we were offered drinks (fyi the drinks were knocked off the bill at the end due to forgetting about us) When we received the first course, the sandwiches were dainty to say the least, nice but very small and lacked filling, beautifully made, precise in size etc, I think is total was equivalent to  3/4 of sandwich each, along with a small bowl of crisps, was a little disappointed but thought hey maybe they serves this over 3-4 courses,  then the  cake course was served after this, which seemed impressive on first view, however in depth we realised that the cakes were so small, we thought maybe there was a surprise course to come after, the cakes were literally bitesize, the scones were also rather small, and have to note possibly the smallest scones ive ever seen, served with whipped cream as opposed to clotted?, we did take a picture of the display stand, I think of the small cake selection we had, the macarons were probably bigger than any of the small accompanying cakes. We have savoured many afternoon teas around the world, and on the isle of man, and I would happily say this was by far the smallest, its not about the size of the afternoon tea, but it is meant to be a little bigger than canapés, and is normally known to last a hour or two,  Not sure whether many complain of this, certainly in other establishments around douglas, the courses and contents came in their normal size, more often would end up with something to take home. In value terms we felt this was overpriced for what we got, and would hope that any of the meals on the normal menu  are of a normal size. We hope this feedback has not caused any offence, and thought we'd best be honest in our opinion and hope that comments maybe noted for future. The Service was great, we were being checked on a good number of times. Food tasted great. I can't really speak for the atmosphere as for half of it there was only our party of four in there. But when more people did start to arrive, the ambience was fine. Very enjoyable brunch with bubbles. We had a very enjoyable evening and the food and service was fantastic. Will definitely be returning. Have been many times before but not since you refurbished, and was very pleased and impressed. We didn't mention to the staff that we were in a hurry (due to seeing a show) but in the event were in and out with time to spare. Couldn't fault the food or service and would gladly recommend (and have done). 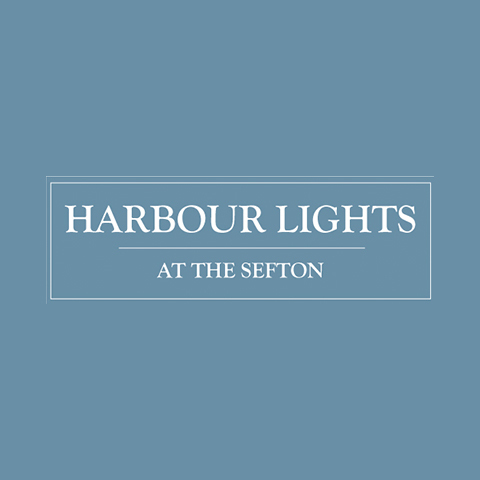 I mentioned before we came that we were bringing a birthday girl with us and the effort that the staff went to to make sure she had a lovely experience at Harbour lights was truly amazing  thank you so much. Apparently it was ‘the best day ever’. Fantastic service and food. Thank you for your efforts to make our evening special ! Good food, good atmosphere, good price. The staff are always welcoming and helpful. We were clear we were going to cinema. Main course service was fine but dessert very slow. We asked for bill early but again slow. It was not busy so not clear why slow service. Desserts are expensive for size and quality.